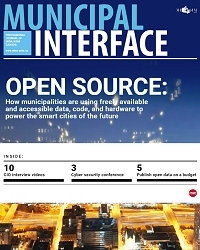 Municipal Information Systems Association, Ontario (MISA Ontario) is a non-profit organization whose objective is to foster an engaged and active community of municipal professionals, at all levels, to share information, experiences and promote municipal IT practices. For almost 40 years, MISA Ontario has continued to be an advocate for innovation on behalf of all municipalities, small to large, on issues and topics that impact their communities. As a member, you will join a growing number of 1400+ dedicated professionals working towards more effective government. Special event discounts: This includes the annual InfoSec Conference in October which focuses on all aspects of municipal information security, and our Annual Conference & Trade Show in June which focuses on developing trends in IT. Both conferences provide the opportunity to stay informed and connect with other municipalities and industry experts. Education/Community Collaboration: MISA Ontario offers free webinars hosted by industry experts as well as get member-only access to these recordings. Members also have access to multiple online resources as well as the option to participate in committees, special interest groups and upcoming projects. You will also have access to our online technology & services directory. Professional Recognition: Every year, MISA Ontario recognizes municipalities, individuals within municipalities and organizations for excellence in the use and delivery of technology. A panel made up of representatives from various municipalities selects award recipients from all nominations received. Organization Membership: Municipalities and private sector partners who become members will also have be able to have up to 100 sub-accounts for their staff at no additional cost. Registration for new members is open at a pro-rated rate for the rest of the year. To enable service providers to deliver more effective services to municipalities through education, research and information sharing. Municipal Member status is available to municipal governments in Ontario. Affiliate Member status is available to any federal, provincial or municipal government, boards, agencies or commissions, and municipal professional associations. Partner Member status is available to private sector (for profit) organizations and will be of primary interest to those providing information technology products, services, professional expertise or management consulting to municipalities. If you would like to know more, you can always reach out to Executive Director, Anne Babej, or send an email to info@misa.on.ca.